The Vertiv Avocent AV104BND4-400 KVM Switch is a compact, entry-level solution to local server management for small data centers, branch offices and IT rooms. It delivers streamlined local access and control designed to be available when needed with user-friendly features for controlling all devices and tasks. The straightforward user experience consists of a basic KVM feature set with on-screen display and simple touch button and hotkey operation. 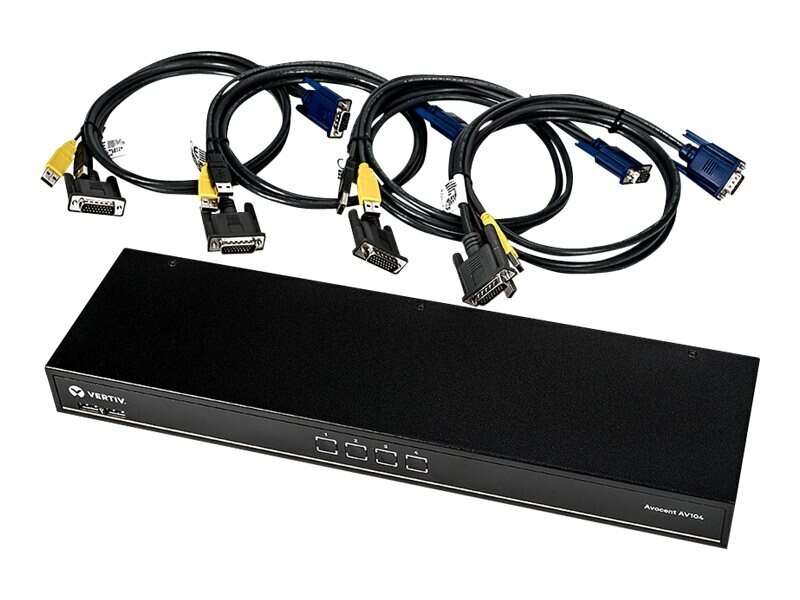 The Vertiv Avocent KVM switch is easy to configure and maintain, includes 4 CBL017 VGA cables, and is available in 1U, 0U and desktop configurations. It offers centralized access, management and event logging when requirements don’t allow remote (IP) connectivity to the server.